Last week I headed to Wicklow to visit Preban graveyard near Tinahely. Yvonne Whitty of the De Faoite Archaeology Company and member of the Preban graveyard committee brought me on a tour of Preban graveyard. She also filled me in on the committee’s exciting plans for the site. Preban is an early medieval ecclesiastical site, there are no surviving upstanding early medieval remains but traces of an enclosure can be identified from the 1st edition Ordnance Survey maps and the surrounding field boundaries. Today the main features at the site are traces of a medieval church surrounded by a graveyard. 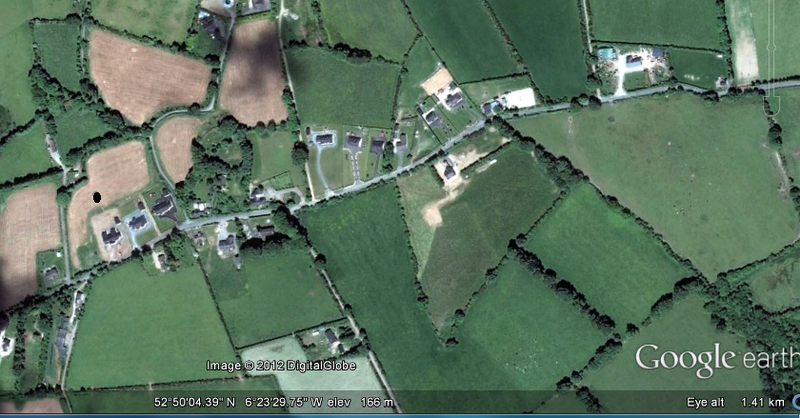 In the coming months the site will be record and mapped and a geophysical survey of the surrounding fields. 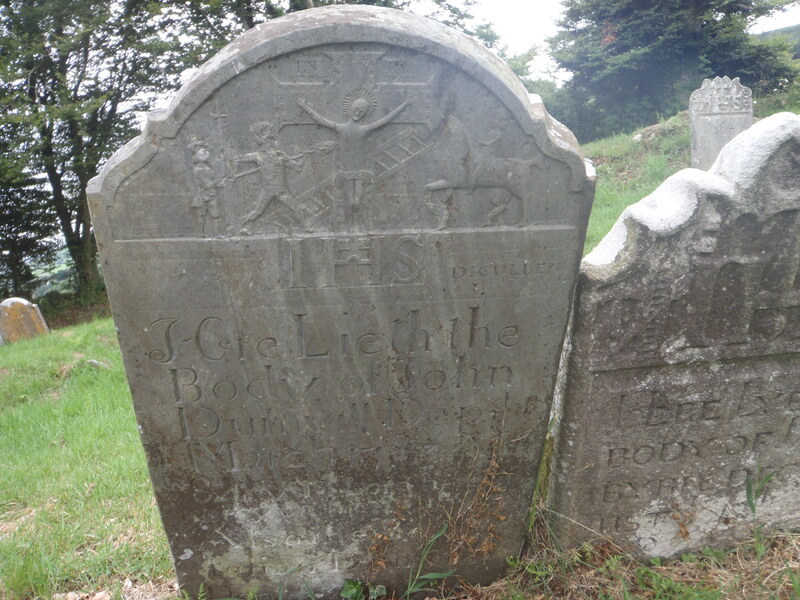 This graveyard is very special as it has some amazing eighteenth century gravestones three of which are by the renowned Denis Cullen. The graveyard is not a site of pilgrimage but each year in July a blessing of the graves takes place. 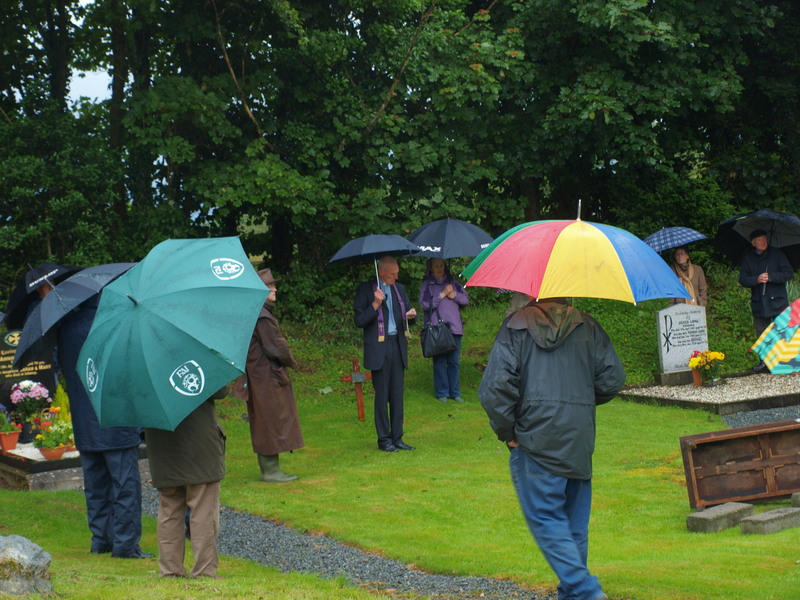 The blessing of the graves is a tradition that occurs in many graveyards around Ireland. The ritual can vary from place to place with either mass being celebrated in the graveyard and the priest then blesses the graves or elsewhere mass is celebrated in the parish church and people then come to the graveyard and the priest blesses the graves or prayers are said in the graveyard the the graves are then blessed. This ritual brings local communities together. It is also a time people tidy and clean up the graves of loved ones. This year the blessing of the graves was last Friday the 13th of July. Despite the wet weather there was still a good turnout from the local community and following some prayers by the Parish Priest Rev. James Hammel the graves were blessed. St Aidan’s Holy well is located a short distance from Preban graveyard. The well is not marked as an RMP site nor is it marked on the 1st edition Ordnance Survey maps of 1840’s, however local people remember it being a site of local pilgrimage. 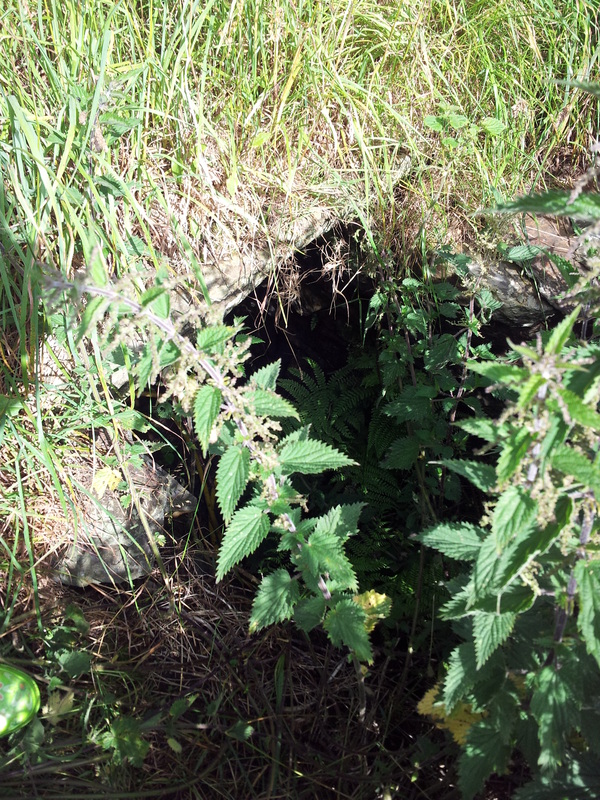 Today the well is very overgrown and visited by a very small number of local people. St Aidan or Aodhán is the diminutive form of the name Aodh. Saints bearing this name are found throughout Ireland and Gaelic-speaking parts of Scotland (Ó’Riain 2011, 71). One of the most famous of these saints was Aodhán or Maodhóg (Mogue) of Ferns Co. Wexford (ibid). The well at Preban appears to be dedicated to St Aidan of Fern’s as the feast day of both saints are on the 31st of January. 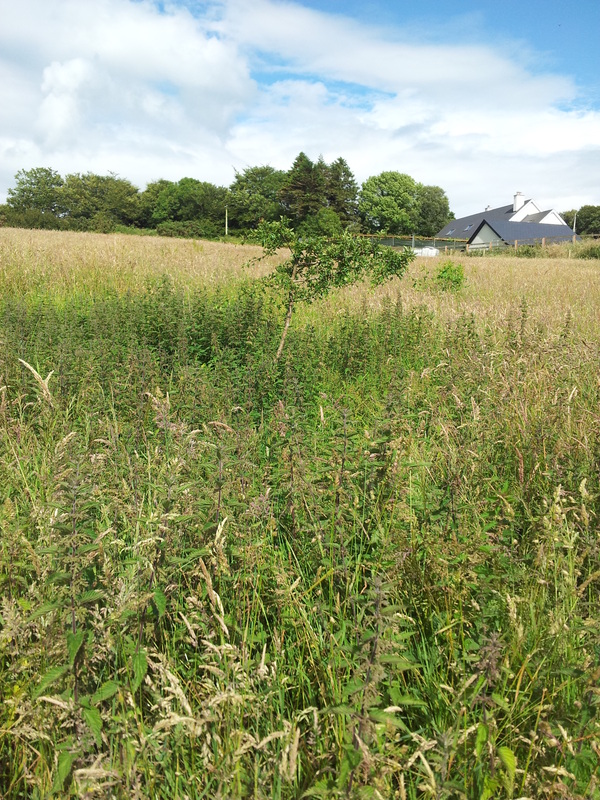 Locating the well at present is very difficult as the field is in long grass/meadow. The well can be identified by a green circle of long grass at the centre of the field. A black thorn tree sits at the edge of the well. From what I could make out without disturbing the thick vegetation the well is sunken below the ground level of the field and consists of a stone built superstructure the top of which is level with the ground level of the field. I will try and visit again in winter as it will be easier to examine the well when the vegetation is less dense. I was very luck to chat with three local ladies who live and grew up close to the holy well. They were able to tell me about the traditions associated with the well. Benny Kelly told me when she was a child it was tradition to visit the well on the feast day of St Aidan the 31st of January but that people also visited the well at other times during the year. She told me that there was a special prayer to St Aidan that some people recited when going to the well and its water had a great tradition of having a cure, but she didn’t think this cure was for any one illness. Another local lady Cathy Whitty told me that when she was a child the well was one of the only sources of local water and that people used to come here to get their drinking water but despite being used as a domestic water supply the well was still seen as holy and the water has healing qualities. Finally Maura Carthy one of the oldest surving inhabitants of the parish, told me when she was young “the old people would go to the well nine days in a row before the feast of the saint and that people would tie red rags to the tree beside the well”. She also told me that pilgrims coming from Lough Derg to Lady’s Island in Co. Wexford, “having cross over the mountains would stop here to pray at the well” before heading on to Lady’s Island. This entry was posted in Holy Well and tagged blessing of graves, Denis Cullen, holy well, Pilgrimage, Preban, St Aidan, Tinahely.